We are family owned company operated by absolute car fanatics we love nothing more than shipping classic or custom cars. Let us take care of your baby and truly make it a member of our AT123 exclusive cars family. Classical cars are one of our most specialized transport services. Auto Transport 123 has been transporting limited edition, classical, and custom cars for over 50 years. We are car enthusiasts and get real excitement out of shipping a true classic. Open Carriers or Enclosed Carriers we offer the best insurance policy hands down on classical cars. With an open carrier we offer $50,000 zero deductible insurance policy included in your auto transport. With an enclosed carrier we offer up to $1,000,000.00 zero deductible insurance policy included in your auto transport. A car is your most important possession after your home don’t take a chance go with the people who make you feel secure. 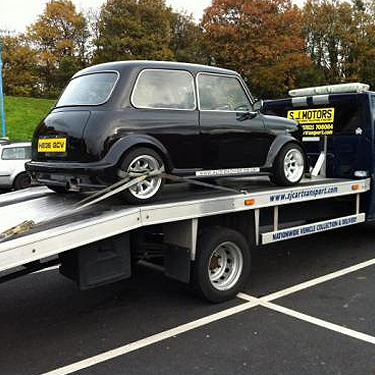 Our service speaks for itself and our drivers are prompted to give extra special attention to our classical cars. Put your vehicles transport in good hands, our hands at AT123. Have I checked the companies insurance policy? Do I have the number of a direct contact at the company I’m using? Will special arrangements be made for my car if necessary?